How often do you work with tables? I work with them quite a bit and styling them can be tedious and buying a theme to utilize the html table layout and styles they’ve implemented can be overkill. The other day I came across http://cssbuttongenerator.com while needing to make a quick nicely styled button (much props). The generator made styling an <a> tag so fast and easy. I was hoping to find a generator for html tables, so I scoured the web for a bit and came up with nothing, nada. Which led me to the choice of sacrificing my overly exciting normal weekend drudgery by creating, http://tablestyler.com a html table generator and css styler. Do you have any suggestions or features you would like to see added? I’d like to hear them. Use the comment area below as a drop box or discussion area for the Table Generator. 75 Responses to "HTML Table Style Generator"
Thanks man. This is cool. Thank you, your table generator is great. One question though, how can I make the odd number rows have the background highlight past the first three rows? I’ve added a link to my site with the table on it, you can see that the highlight only applies to the first three rows, nothing after. that should have the color and add class=”alt” it. Yes, I’ve already tried using the alternating class=”alt” but it does not change. The issue must be in the CSS. I’m guessing the “none” part is my problem. I’ll have to search around. Then the rest of the CSS is below. I was looking at your website that has the table on it. It appears that your implementation of the HTML is the problem and NOT the CSS. Look closely and you will notice you opened the table rows twice. :} Thank you! It works perfectly now! It was very kind of you to take the extra time to help me here. The table looks spectacular. Greetings from Toronto! I never post anything on these kinds of blogs. However, I’m an amateur when it comes to HTML/CSS despite doing tons of Web development with specific products (Adobe Flex, .NET, SQL, Google Maps and other GIS products) and came across your tool. Just wanted to let you know how helpful it was. Thank you very much! Awesome! Sorry to hear you are in Canada during winter, but glad you liked the tool! Thanks! This is awesome tool. Saves so much time and creates cool custom made table themes. I will be using this in my open-source project. how do you re size the table? no matter what i do i cant seem to resize the whole thing. Actually the table never gets resized for width. The div which contains it is what should be resized. wow thanks, that really helped a lot ,the table looks great. this site rock! Thanks for this tool, I was looking for a complex html table generator to make such a table for table testing. It didn’t do everything initially such as adding col and colgroup elements and rowspan attributes but it did most of the legwork. I’ve keyword stuffed this comment to bump you up in the ranks. Thanks again! 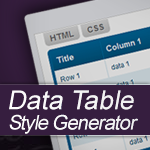 Great html table generator tool! It would be cool to also have options number of rows / columns and table width. Yo lifegear, so right… will be looking into it soon. 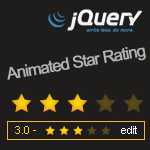 This a great tool – thank you. One thing, though, it seems though that while the output renders fine in Firefox, in IE 8, I’m not getting the rounded corners effect. Do you have any suggestions? Hi Thomas, glad you like it. IE just never plays nice and always waits years before coming to terms with the rest of the world. That being said, ie 8 and below do not recognize the attribute, border-radius. I believe I mentioned that in the short paragraph at the top of the tool. If I haven’t convinced you to forget the past I will be happy to share some links on achieving your goal. Just lemme know. I would add the ability to set the row line color and thickness. I had made hack version of my own, but it wasn’t quite cutting it and definitely wasn’t ready for the public. This is superb! Colgroups in case styling that way is more effective. What I’m saying is, if I were to make a table generator geared towards SEO, and potentially specific for content creation inside the table, could I integrate your tool? Either give you credit, let you run it, or in some other fashion? Again, I’ve sort of begun but I don’t exactly have a commitment to finish anytime soon, so it may not actually happen. Either way, I highly appreciate your work! Really nice tool, and for the most part, the default style is really nice already. I am making small tweaks with the GUI controls, and one nice addition might be the ability to import a modified sheet that was generated by the tool after some tweaks were made from the GUI controls. Great tool.. Is there an easy way to get data into the table without manually entering it. I have a table with 300 rows and it would be difficult to modify each row. Is the data the same for each row? If not please explain to me where the data is coming from. A great tool saves loads of time. an enhancement would be the option to set column widths. Any ideas how I could do this? Not very techie when it comes to css so need all the help I can get. Amazing tool, just reduces my work time into quarter. This is a super tool! I’m a beginner and I find it really helpful. Just wanted to ask, how do I get the pagination to work? Right now clicking on the footer does nothing. Also, how do I limit the number of rows per page? I have 30 rows which I want to show 10 rows at a time. Is there anyway to resize the columns? @Josh – I really like that Idea and will be giving that some thought here in the near future. Thanks! @Mark – The row lines have been added today. version 1.3 released. @Donnie- Thanks! Glad you like it. I will put that in my brain and kick it around on the easiest way to implement. Just a quick note to say thanks for this free tool. I coded a back-end reporting tool where only I see the table of data, but it was really quick, and easy to make it look cool rather than incredibly dull using your code. How do you override the table width. Cannot seem to get the outermost border to go away. Thanx but its not working on blogger properly ! This is a great little tool. Nicely done – good job. I’ve been trying a few generators over the last couple of days but none of them come close to this one. Great work! Allowing extra columns and rows within the designer is something all other developers of css generators (that I’ve come across) have missed out. Thanks, it’s a massive help! Your work is just wonderful and awesome. It will do tons of good for everybody around. Your effort is admirable. What a super cool tool!!! Can you help me get it to work properly? Once I get the code generated, is it simply a matter of copy and paste, because it is not showing up. The table I am referring to can be seen on my site on the sidebar under the “Popular Posts” heading. I pasted the html in that widget area and then pasted the css code in my css file. My speculation is that there is something left out that is keeping the two from matching up, so that the table looks like a standard table and not like the way I customized it. I see that you pasted your css into custom.css of the wordpress theme. WordPress gets kind of messy with the more plugins added. The .datagrid class is not being read by the DOM (web browser), probably due to some issues in syntax in the file. My suggestion would be to put this directly into the tag of your theme file. Are you referring to custom_functions.php file? Depending on how the template is structured, there should be an index.php or header.php perhaps in your theme folder. Nice Table and works great, just one thing. When having more than one column, it just so happens that the “thead” th’s develop a border around them from the second column onwards. Just put “border: none;” in you data grid class before you’re deklaring it to have a border on the left. Might not be so obvoius to inexperienced css users out there. great tool. Thanks for that. But one thing, when adding / setting the rows or column with color lines it seems that the html generator is not displaying the html code. Can someone please advise if we are doing something wrong or is this an issue with the generator. Add this to your css. I prefer a minimal width for tables and can’t get it perfect. My web site have no max-width yet, so tables would be to stretched when set to width: 100 %. i have a problem though in populating data from database to the table..
it seems it is populating in just 1 row..
How do i add text under these cells in between the 2 rows…. I’m using 2 columns and i put the table in a smaller div…. How can i make the line between the columns exactly be in the middle? after i entered text into the table, the line dividing the columns is not in the middle of the table anymore….. any idea? And what can i do to make the look of links match the look of the text? 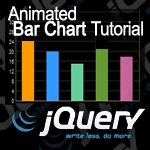 If you are using only two columns, look inside the thead and put width=”50%” in the first th. This should fix your issue, unless the width of your container is too small. Great! It was just what I was looking for. A great tool saved me loads of time. How do I adjust the width of specific columns? Some of my columns need to be a few dozen characters wide, and others only a few characters wide. When I type a few dozen characters into the cell, it expands the row vertically. I need it to make the column wider instead. per your instructions above, and while that did limit the table to 800px in width, it did so by cropping the rightmost edge of table (so I lost one of my columns and 20% of the one next to it). I appreciate your help. Let me know if you need screenshots or anything. august 6th 2012: “This is a super tool! I’m a beginner and I find it really helpful. 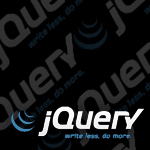 This is an awesome tool… really great.. thank you!! Hey eligeske I See Your Table generator Its A Awesome Piece of Art I want it to Add im My Blogger Site But Can’t Tell me How i Can Add this table To my Blogger Post ?? Please Immediately When i Add the html code to blogger post and See in Compose Section I Can See Only Normal text No Styling my Browser is Also Latest So Tell me Whats the Problem?????? Awesome tool, really helped me! thank you! I have one problem: how can i make some colomns bigger and some smaller? Is that possible somehow? This is a fantastic tool… but i cant see an option to center the text? This is a great tool! Is this also available as a tool to download so that one can save a table with customized color scheme instead of retyping all the values again online? This is something that has been on my mind for a while!!! I get I’ll stop slacking and add that ability to save.